The name Curragh comes from the Irish word “currach” which translates as “plain”, a place of the running horse. The Curragh is Ireland’s largest, finest, and possibly only, example of a surviving ancient lowland unenclosed grassland. The 5,000 acres stretch from Kildare Town to Newbridge. The Curragh is surrounded on all sites by good, fertile lands however, it itself supports nutrient poor acid grasslands, severely deficient in lime and phosphorous. 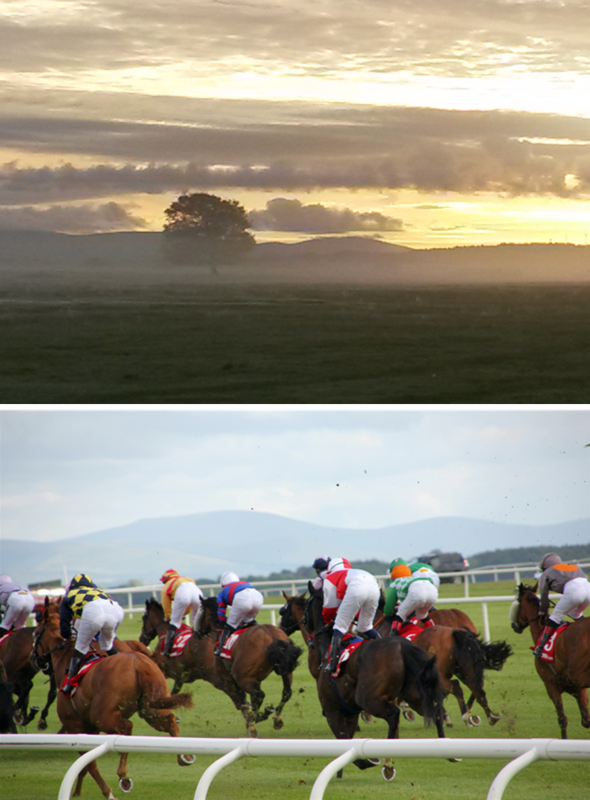 The Curragh is unique in terms of it’s natural and cultural heritage. This distinctive landscape houses the main training center for the Irish Army, a military museum, the premier racecourse for Ireland, Pollardstown Fen, Ireland’s oldest golf club, and many ancient barrows and raths. Many famous Irish characters, including St. Brigid, the patroness of Ireland, Fionn MacCumhail and in more recent times, Dan Donnelly, the boxer are synonymous with this special place. The Curragh is also the birthplace of motor racing as it is where the first ever formal road race in Britain & Ireland was held with the Gordon Bennett Rally, 1903. A round of golf at either of the two golf courses on The Curragh. The Curragh is also very accessible from Kildare Town or Newbridge.